Explore our incredible selection of Wine Hampers to find the perfect surprise for loved ones who appreciate the finer things in life. We’ve really thought about every item that goes into our wine hampers. Filled with a jaw-dropping selection of full-bodied reds and white wines from across the continents, there’s something for every wine connoisseur. They’re also ideal for sharing, if you’re in a generous mood! A wine hamper from Handmade Hamper will create a fabulous impression from the moment it arrives. 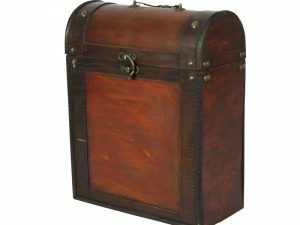 Phenomenally popular with our customers, they’re presented in beautiful wicker baskets and antique gift boxes. 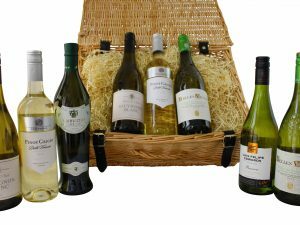 Our wine hampers are a great fit if you need an extra-special birthday gift, or want to spoil a loved one on Valentine’s Day, Mother’s Day or Father’s Day. The wines included in our wine gifts include many award winners to ensure a quality selection giving your lucky recipient an unforgettable experience. If your lucky recipient prefers a glass of fizz, why not explore our superb range of Champagne & Prosecco Hampers, which include fantastic wine alternatives, and irresistible chocolates. We also stock Cheese and Wine Hampers, if you’re looking for gifts with that unbeatable combination.